These days, more and more people around the world have started learning Korean. Why? There are many reasons. One of the most common reasons I hear is that they started learning Korean after becoming interested in K-Pop and Korean music. Personally, I'm super excited that so many more people are starting to learn Korean and becoming interested in Korea. No matter your reason for learning Korean, I want to support you in your journey. So I created this video as a guide for learning Korean through K-Pop. 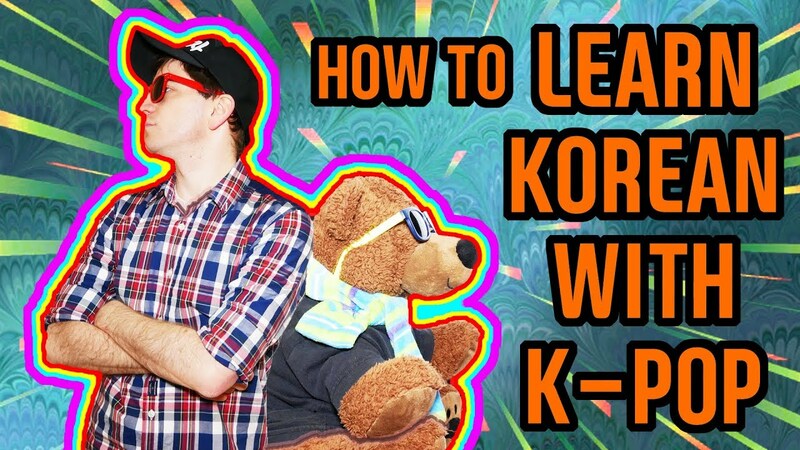 While I don't think that K-Pop is the best way to learn Korean, I also don't think it's useless either. There are ways to benefit from using Korean music when studying, which I'll talk about in this video. Check it out here~! And good luck in your studies! The Kpop parody was exceptional! You have a real talent for imitating a wide variety of people and writing funny scripts. Your talents extend far beyond merely Korean. I think if a younger Eddie Murphy spoke Korean, kept his routines clean and made youtube videos, those videos would look a lot like yours! Well I can't imagine Eddie Murphy doing clean comedy 😛 but I appreciate the comment. Thank you! I've got some more fun videos planned in the future.